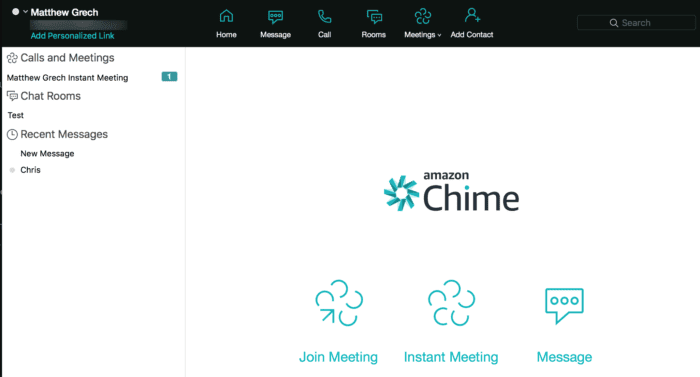 When Amazon went ahead and launched both Chime and Connect this year, they generated a big buzz. Many analysts, myself included, were writing how Amazon is introducing a new solution that will most likely shake up the market. Now I wasn’t the biggest Chime fan, but Connect was high on my list of favorites. After the initial announcement, Amazon was seen as making a noticeable disruption in two new markets. But after the hype began to die down, analysts were also coming out of the woodwork to question just how disruptive or innovative Amazon really is. Combined with a simple platform and simple pricing, Amazon’s solutions seem to stand as strong choices. But the question remains: for whom is that choice strong? I’m echoing analyst Jon Arnold’s statement here, from when the Amazon Chime first launched. At the time, I felt that Amazon had the recipe for an interesting option in the market. They have one of (if not) the largest Cloud networks, an incredibly solid reputation, and are known for stellar customer service. But during my playing time with Chime, I felt it was a little hollow. The core functionality and basic principles were all there. But I didn’t enjoy the UX at the time, and was confused by certain design choices in what was supposed to be a very simple solution. That’s all subjective; however, even Arnold pointed out that Chime’s free plan left users wanting to upgrade, which isn’t always the best option. He also argues that Chime went for “low hanging fruit” and strode for ease of use — but, as I pointed out in my hands-on Connect review, who doesn’t aim to make an easy-to-use solution? We can probably say that Connect and Chime are both disruptive: they introduce new options from a valuable player — but they aren’t necessarily the most innovative products around. This doesn’t mean they are bad options, but some are left wondering just how and where they fit in. For example, Chime is really positioned for the Enterprise with its intense encryption and simplicity concept. But as Arnold also pointed out, it doesn’t quite match the market. While I somewhat echoed this thought when looking at Chime, I now understand why some are confused when it comes to Connect, too. However, I think we might not be seeing the entire picture just yet. Amazon might not have an entire plan laid out, but maybe the problem is that we’re missing a key piece of this whole Amazon UC puzzle. I said this in my Connect review: AWS was the beginning platform, Chime was a first extension into UC, and Connect is pushing that platform further into a larger solution. But that still leaves us with a few gaps. Connect Doesn’t Go Far Enough? During both my first introduction to Connect and my hands-on review of the platform, I enjoyed and praised the solution. I think Amazon did do a solid job of offering a simple platform, at least in the very basics of navigating the UI and accessing information. It seems like Connect has the necessary features for a call center solution at least — but I think this is where I should have highlighted its perceived shortcomings. I’ve discussed before how important the omnichannel experience is to modern contact centers, and even how AI can benefit your omnichannel experience. Amazon already has the right pieces of the puzzle to power some really strong omnichannel platforms with their current AI tech. 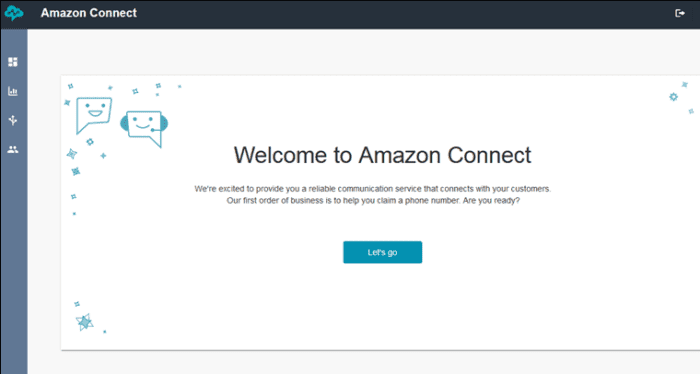 However, Amazon’s Connect so far only allows for phone-based support — whether that be through IP desk phones or their WebRTC enabled softphone. Some even highlight WebRTC as a downfall, yet WebRTC will be responsible for improving both call and contact centers. So I recognize Connect isn’t the best choice for a company concerned with the digital approach under one roof, but that doesn’t discredit Connect as a choice for the small business…. Or does it? I started to see things differently when I read a post on Nojitter by Zeus Kerravala titled, “Debunking Amazon Connect’s Competitive Threat.” I always enjoy having my ideas challenged, and looking at the other side of the coin helps me understand matters more completely. 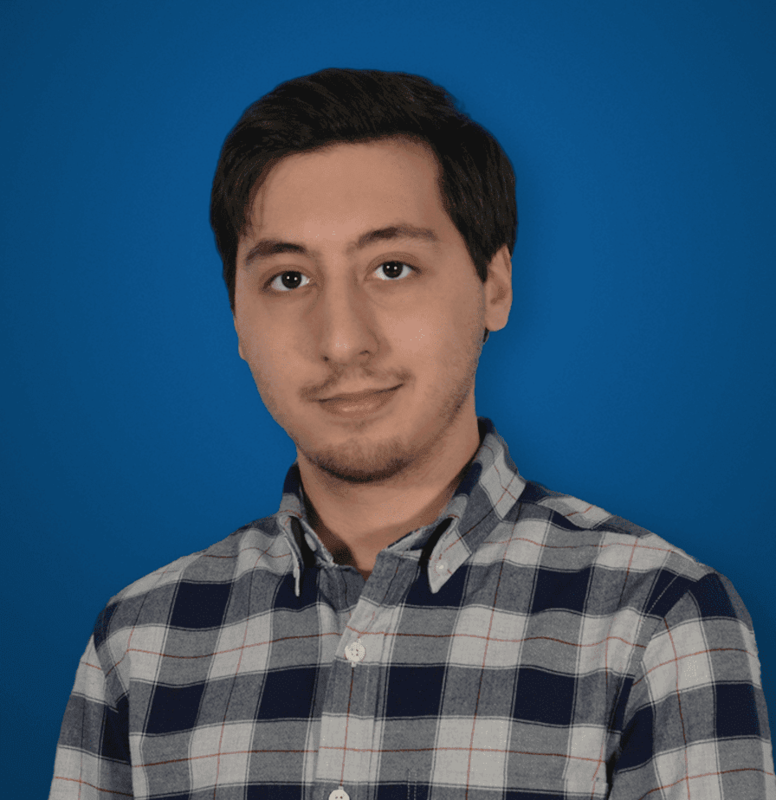 In his post, Zeus runs through a number of reasons Connect may not be the strong disruptor we originally thought it was. I’m not going to pick this apart piece by piece, but I did want to highlight a few areas I do agree on, and some I might not agree so strongly. So while his second point isn’t off, the main buyers and even influencers of call center software generally aren’t the developers or IT teams that put everything together. However, I will contend that my short time going hands on with Connect has shown me that process really isn’t all that complicated. Even I thought the Connect could get a little overwhelming without prior exposure to AWS and all its services, but I still managed to jump in my first time ever and establish a complete call center. My anecdotal experience doesn’t do much to much to prove Connect is easy to use, but I can highlight the overall experience was pretty well explained with some hand-holding during the setup. I don’t imagine this would be an overly complicated setup for anyone with minor AWS experience, let alone the dedicated developer of a small business. However, I see the point here: this isn’t the be-all and end-all, “turn-key solution” that a one-person operation might need. It’s also not the most complex all-in-one solution that an Enterprise needs. To further this awkward position, the Amazon Connect pricing structure can throw a curve ball for some. On-the-go payment can be amazing for small teams that don’t need a constant reoccurring subscription they don’t fully use — that’s nothing new. Yet this pricing can also be incredibly difficult to budget for, especially if usage is inconsistent. As Kerravala concluded, while Connect may seem lucrative to SMBs, “such a company wouldn’t have the skills to build a contact center from a bunch of Lego blocks and then do the integration via APIs and SDKs.” This is a point I disagree with slightly, as even I had a fairly simple time configuring Connect, but it is still a very fair point. Some just don’t want the hassle. So, what’s really missing here? Much like Microsoft product offerings, they can make a lot more sense when your business is already invested in the existing platform and ecosystem. In fact, this is the exact reason why Gartner recommends the Azure cloud platform for businesses already utilizing Office 365. It’s also why Microsoft Teams, though a solid solution, doesn’t stand as a direct competitor to Slack: it requires the entire Microsoft ecosystem to make total sense. I think the same can be echoed for AWS with Connect and Chime. 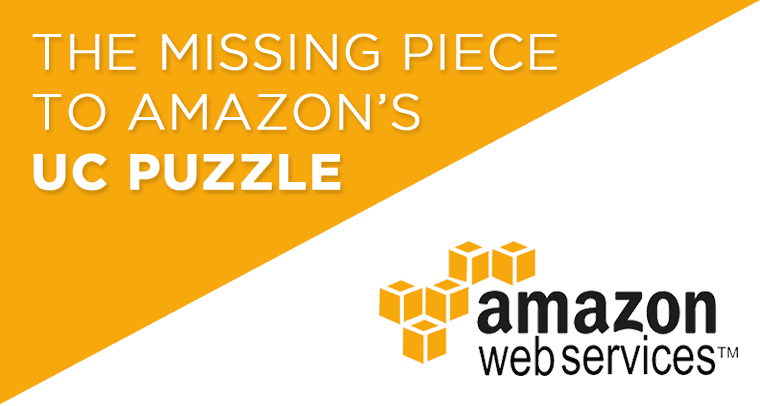 Put all the pieces together with at least AWS storage and Connect, and it can make a bit more sense. What it seems like, however, is that Amazon is missing something in the middle here to help leverage that platform beyond the competitors. Like I pointed out, Chime and Connect are new options on the market that do what others do, and do it well. And while innovation isn’t necessarily doing something new, a repackage and new, fresh coat of paint isn’t always enough as we see. I like what Arnold pointed out — that the real disruption here is Amazon’s entire strategy — they have the pieces together, so just drop a solution into the market and see what happens. I said this with Connect: they built an in-house solution so all they had to do was make it pretty and sell it. Solid way to introduce new revenue in a new market. So, what’s to stop Amazon from pushing even further? We’ve already seen Amazon bake some great UC functions into their existing Echo hardware. Users can connect to email or calendars to manage their schedule through voice commands. And, just this week on May 8th, Amazon threw an entirely new curve ball into the mix: Amazon Echo Show is the provider’s new hardware device might be able to tie all of those UC solutions and offerings together. 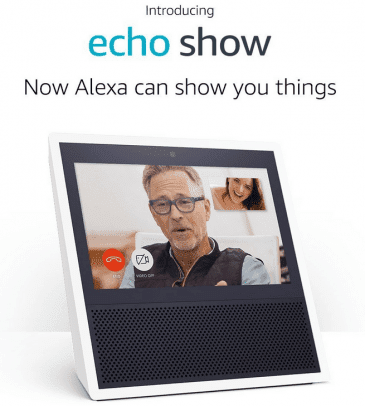 Starting at a really competitive price of only $230, the Show is a video conferencing-focused device that also includes the great features Alexa has to offer. Essentially, the Echo is like a Cisco or other similar hardware device designed with video conferencing and collaboration in mind. However Echo is also powered by Alexa, with all her AI, learning and voice recognition capabilities — and of course integrates the package with Chime for video calls. On top of it, the Echo Show will even have its own APIs for entirely new apps to integrate into the hardware. Personal assistants are making their way into our lives for many reasons, along with other AI powered add-ons, with AI a powerful tool to revolutionize how we work and interact. So, I think Amazon has a really interesting combination here. Oh, and in another unique twist, the Show can even make voice calls to anyone that owns an Echo or Echo Dot as well. This brings me neatly to my next point. Now I’m putting on my speculation hat here, but I think Amazon has a solid idea. Introduce new solutions that do what you need, or at least most of it, and integrate it into your own services to start a service platform with a reputable name and service network. So why should Amazon stop at just what could be considered a hollow UC app and an almost barebones Call Center solution? What Arnold highlighted as a downfall of Chime, I think points to an opportunity for Amazon to keep growing their platform. What if Amazon decided to launch their own Cloud telephony service? 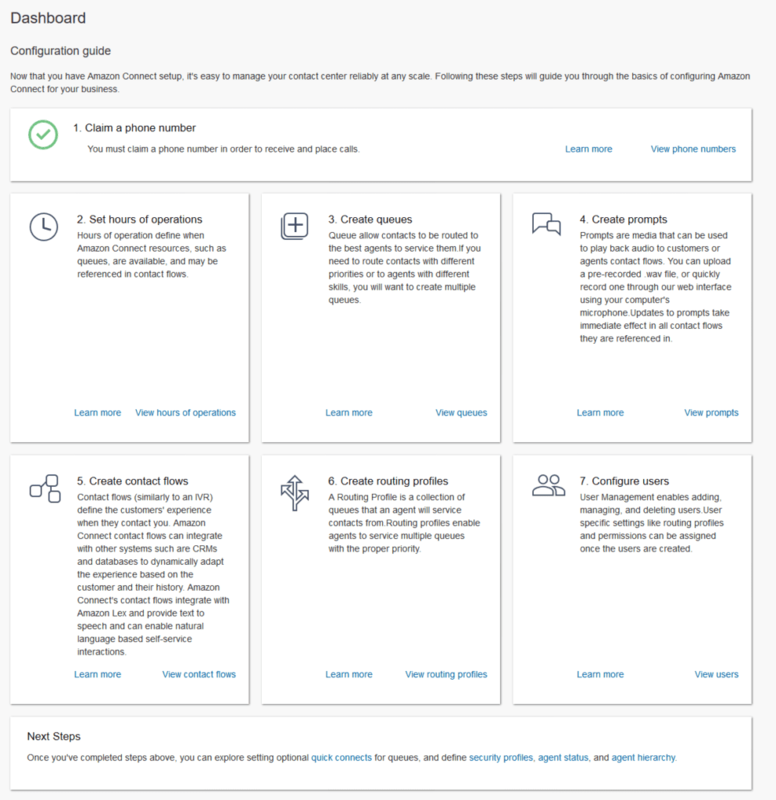 They are already offering numbers and service for the Amazon Connect solution, although limited with one single PSTN carrier. Kerravala points out this is through what seems to be an Amazon owned entity. With Chime, amazon snatched up an existing provider and introduced an existing solution integrated into AWS. 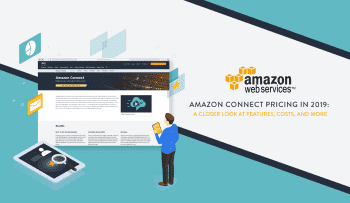 With Connect, Amazon repackaged their existing tech integrated into AWS. Couldn’t the next logical step for Amazon be to offer Cloud Telephony, integrated into AWS? Oh, and don’t forget that hardware aspect we touched on before. Just like we saw with Amazon’s Echo Show, hardware can play a massive role in the entire Amazon UC ecosystem. Just a few weeks ago, Amazon even went ahead and filed an interesting Patent for their Echo devices powered by Alexa. 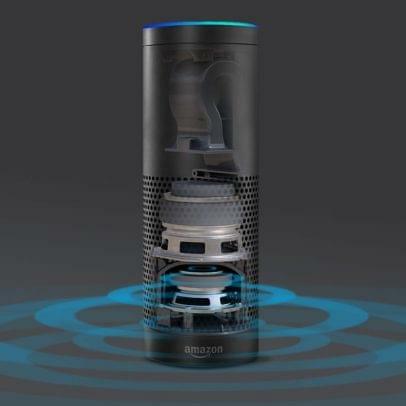 Essentially, it seems as if Amazon wants to utilize Alexa devices to connect to a user’s cellphone to place and receive calls. I’ll just include some of the language directly from the patent filing itself. “A device that includes a microphone and a speaker may capture audio uttered by a user. The device, or another device, may then perform a particular operation in response to the captured audio. A user’s cell phone number may be associated with the device. When an incoming call is directed to the user’s cell phone, the device may generate a notification. So I think the implications here are kind of clear: Amazon is interested in call connectivity in some way. 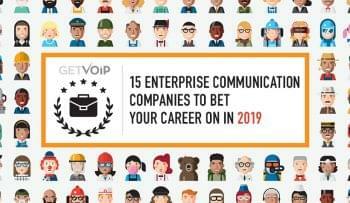 Whether it signifies a leap into the VoIP market might be a bit of a stretch. However, when you bring Chime and Connect into the mix, I think it actually starts to make a bit more sense. 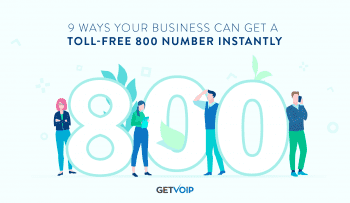 If Amazon could build in a telephony backbone surrounding both Connect and Chime, the new combined feature set and more complete platform can bolster the previous offerings, and put together a much more compelling ecosystem. However, now the question becomes: just how disruptive would that be?